New U.S. Dietary Guidelines for Alcohol The U.S. government posted new Dietary Guidelines for Americans 2015-2020 (eight edition) on January 7, 2016. The report pointed out that in 2011, approximately 56 percent of U.S. adults 21 years of age and older were current drinkers. Drinking in greater amounts than moderation was more common among men, younger adults, and non-Hispanic white. Two in three adult drinkers do not limit alcohol intake to moderate amounts one or more times per month. The recommendation is that if alcohol is consumed, it should be in moderation - up to one drink per day for women and up to two drinks per day for men - and only by adults of legal drinking age. The US Department of Agriculture (USDA) and U.S. Department of Health and Human Services (HHS) underscored that there is no ‘drink of moderation,’ only the practice of moderation. The definition of what is called a ‘drink equivalent’ was reaffirmed as 0.6 fluid ounces (14 g) of pure alcohol: 12 ounces of regular beer (5% alcohol), 5 ounces of wine (12% alcohol), or 1.5 ounces of 80-proof distilled spirits (40% alcohol). The guidelines urged drinkers to look into the varying ‘drinkequivalents’ in any given alcohol drink (multiple volume in ounces by the alcohol content in percentage and divide by 0.6 ounces of alcohol per drink-equivalent). View the guidelines at www.health.gov/dietaryguidelines/ 2015/guidelines/. New UK Alcohol Guidelines Unreasonably Strict for Men The UK chief Medical Officer, Dame Sally Davies, and her Guidelines Development Group, recently announced new UK alcohol guidelines. First, the new guidance is that men should not drink more than women, a surprising statement since there is no basis in science for this, and is not part of alcohol guidelines from other countries. Second, the guidelines say that there is no safe level of drinking. Third, the new guidelines recommend an upper limit of 14 units a week. 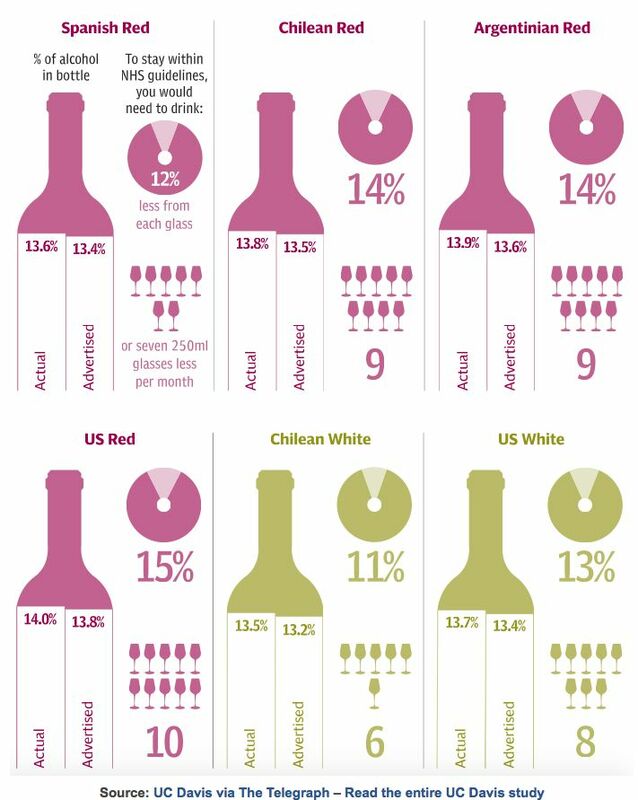 A 6 ounce glass of wine (U.S. standard drink equivalent of 14 g of alcohol) is just under 2 UK units (UK unit is 8 g of alcohol). This would mean that the guidelines recommend one drink a day maximum for both men and women. This is in line with the U.S. Dietary Guidelines for Alcohol for women, but not for men. Fourth, drinkers should have more than one day a week alcohol-free. UK government officials did admit that women over 55 to enjoy some benefits from small quantities of alcohol. Second Silicon Valley Wine Auction (SVWA) The Silicon Valley Education Foundation (SVEF) and the Santa Cruz Mountain Winegrowers Assocation (SCMWA) present two events in association with the SVWA: a Grand Wine Tasting at Levi’s Stadium in Santa Clara from 12:00 p.m. to 4:00 p.m. on Saturday, April 16, 2016, and an evening Wine Dinner and Live Auction. The Grand Wine Tasting will feature over 150 wines by Santa Cruz Mountains vintners. The Wine Dinner and Live Auction on Saturday evening with start with a wine tasting hour featuring rare and premium wines followed by a 5-course wine-paired dinner and a live auction hosted by Dawn Marie Kotsonis. The 2015 Silicon Valley Auction drew more than 1,000 guests and raised over $600,000 to benefit SVEF’s STEM Education programs. Notable auction items for 2016 include private winemaker dinners with Mount Eden Vineyards, Ridge Vineyards and Thomas Fogarty. 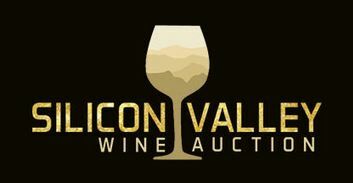 For more information and tickets, visit www.siliconvalleywineauction.org. 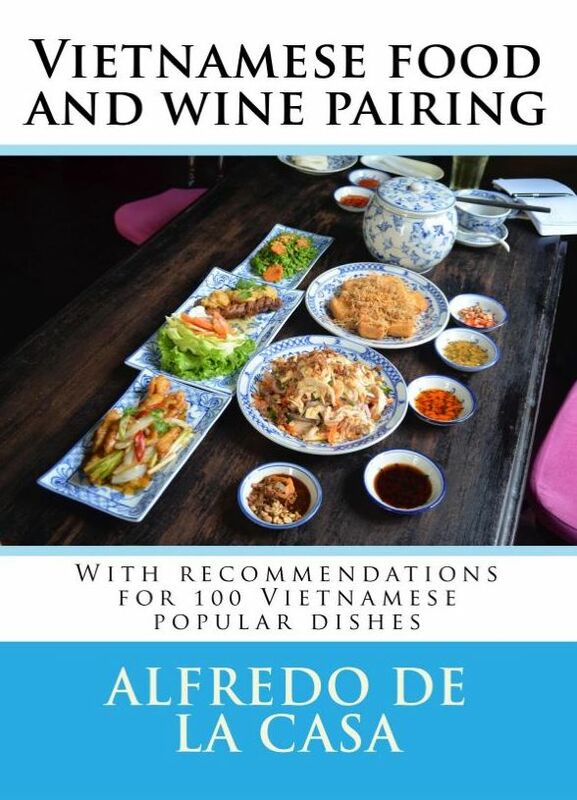 Recommended Book: Vietnamese Food and Wine Pairing Alfredo De La Casa has written a handy book that includes wine recommendations for 100 Vietnamese popular dishes. The author, a British national and member of the Society of Wine Educators, lived several years in Vietnam and still lives in Ho Chi Minh City. Beginning with the basics of wine and food pairing, De La Casa describes each dish and its ingredients along with black and white photos, and suggestions for wine pairings. He does not recommend wine brands, but the likely grapes from regions that will pair better with the food. A very handy feature is the three indexes at the back of the book: an index in alphabetical order for the dishes in Vietnamese names, a second index with the name of the dishes in English, and an index that suggests matching dishes if you have a wine in mind. I know where I live in Southern California, Vietnamese food has become extremely popular, and many wine enthusiasts would find this book invaluable. Since Vietnamese restaurants rarely offer worthwhile wine lists, you will need to consult the book ahead of time and bring an appropriate wine to the restaurant. Since the book is in a compact, paperback format, it can also easily be taken to a restaurant for further reference. 175 pages, 2015, $24.99 at www.amazon.com. 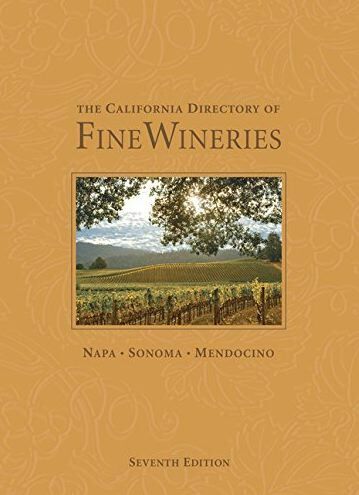 Newest Book in The California Directory of Fine Wineries series This is the seventh edition of this full-color, hardback guide to some of California’s notable wineries found in the wine regions of Napa, Sonoma and Mendocino. 68 destination wineries are profiled by a team of primarily travel writers, along with more than 200 color images by renowned travel photographer Robert Homes. 26 new wineries are included in this edition. Along with descriptions of each winery’s unique features, the book’s sidebars include location and directions, vineyard tours and wine tastings, winemaker names, special events and nearby attractions. Full-page maps are included. Of special interest to Pinot Noir lovers are the inclusion of the following wineries: Acacia Vineyard, Domaine Carneros, Etude Wines, Anaba Wines, De La Montanya Winery & Vineyards, DeLoach Vineyards, Gary Farrell Vineyards and Winery, Handley Cellars, Hartford Family Winery, J Vineyards & Winery, Keller Estate, Lynmar Estate, Martinelli Winery, Moshin Vineyards, Papapietro Perry, Patz & Hall, Three Sticks Wines and Walt Wines. This is the type of travel guide book one would expect to see on the coffee table at a fine resort in one of California’s wine regions. The choice of wineries to be included is apparently those with name recognition and reputation. A handy e-book format for iPad and Kindle is also available. 160 pages, hardcover, 7.5 x 10 inches, 2015, Wine House Press, $22.95. Available nationwide at booksellers and www.amazon.com. In Pursuit of Balance 2016 Schedule Announced IPOB has announced a wine dinner and trade tasting in partnership with Triangle Wine Experience February 4 to 6 that is open to attendees of the Triangle Wine Experience. Also an IPOB tasting and seminar will be held in London February 22 that is open by invitation to members of the trade. IPOB will be conducting tasting and seminars at ProWein March 13 to 16 that will be open to attendees of ProWein. Finally, IPOB will offer a public tasting in Los Angeles on April 17 and a trade tasting on April 18. For information, visit www.inpursuitofbalance.com. Furthermore Pinot Noir Acquires Graton Ridge Cellars Furthermore, one of the featured and recommended Pinot Noir producers in The PinotFile, has bought Russian River Valley’s Graton Ridge Cellars including the label, tasting room, winery and estate vineyard. The tasting room will soon offer tasting of Furthermore’s single vineyard-designate Pinot Noirs and Graton Ridge Cellars Russian River Valley Pinot Noirs. Furthermore’s 2013 Nevina’s Vineyard won Best Pinot Noir at this year’s San Francisco International Wine Competition. Furthermore also announced that Erica Stancliff would become head winemaker. She is the winemaker for her own Trombetta Family Wines label and was formerly part of the winemaking team at Paul Hobbs’ CrossBarn, Rudd and Vina Cobos. Furthermore’s new home at Graton Ridge is open daily at 3561 Gravenstein Hwy N in Sebastopol. 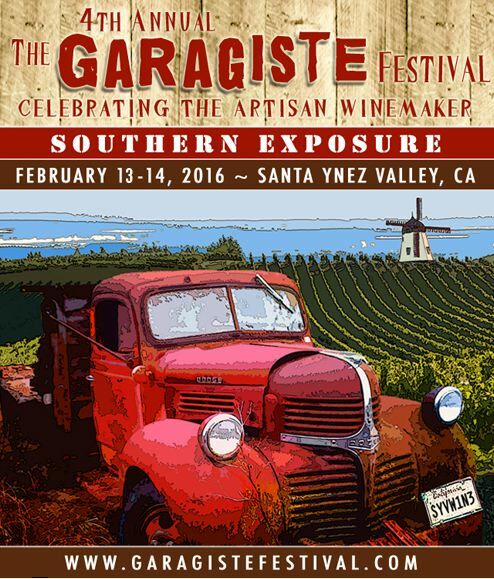 The Garagiste Festival: Celebrating the Artisan Winemaker This “Southern Exposure” event will be held February 13 & 14, 2016, in the Santa Ynez Valley in Solvang, CA. This festival is sponsored by Garagistes Events, a non profit organization benefiting the Cal Poly Wine & Viticulture Program. A garagistes (garage-east) is a term originally used in the Bordeaux region of France to denigrate renegade small-lot winemakers, sometimes working out of garages, who refused to follow the “rules” of the wine establishment. It is now a full-fledged movement responsible for make some of the most individualistic, cutting edge wines in the world. Some participating wineries whose wines you may have seen reviewed in the PinotFile include Kessler-Haak Vineyard and Wines, La Montagne, Ryan Cochrane Wines, Seagrape, and Weatherborne. These small producers (most are less that 1,000 cases per year) deserve your respect and attention! The 2016 Garagiste Festival begins with winemaker panels and tasting seminars, moving on to the Grand Tasting. For more information and tickets, visit www.californiagaragistes.com.